AP PHOTO This image provided by the Twitter page of @fendifille shows a computer at Greater Preston CCG as Britain's National Health Service is investigating "an issue with IT". Several British hospitals say they are having major computer problems Hospitals in London, northwest England and other parts of the country are reporting problems with their computer systems as the result of an apparent cyberattack. 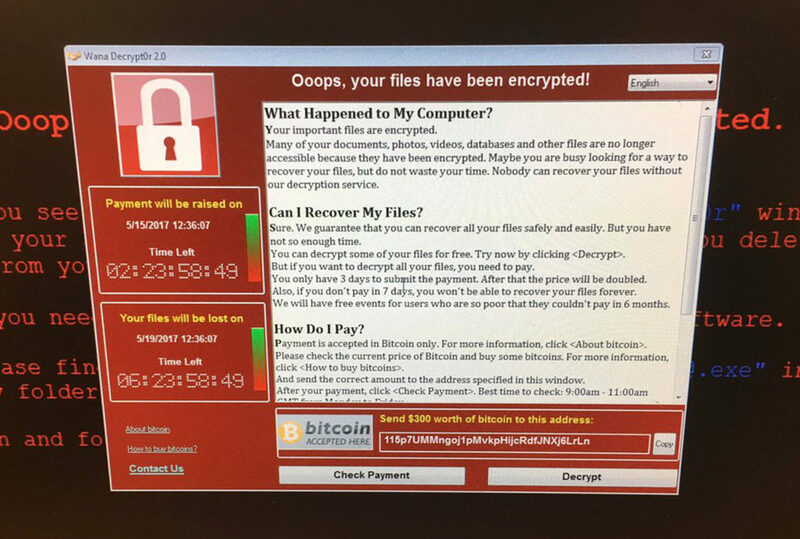 NEW YORK — Dozens of countries were hit with a huge cyberextortion attack Friday that locked up computers and held users’ files for ransom at a multitude of hospitals, companies and government agencies. Computers were infected with what is known as “ransomware” — software that freezes up a machine and flashes a message demanding payment to release the user’s data. In the U.S., FedEx reported that its Windows computers were “experiencing interference” from malware, but wouldn’t say if it had been hit by ransomware. Shortly after that disclosure, Microsoft announced that it had already issued software “patches” for those holes. But many companies and individuals haven’t installed the fixes yet or are using older versions of Windows that Microsoft no longer supports.